A couple of years ago, I was invited to submit an essay for what was going to be the second volume of Hey, Kids, Comics!, an anthology that was a labor of love for editor Rob Kelly. Unfortunately, volume 2 never came together (but you still can, and should, pick up the first volume). Since then, I kind of put the following essay in the back drawer of my mind and digital files, but I recently came across it again and thought I’d share rather than let it languish. I hope you enjoy — Language X! When the older Asian lady gently grabbed my elbow, I thought I was in trouble. I say older, but truthfully she was probably around 40, at most. But I was in my early 20s and, being a kid in my second year of college, everyone past 30 looked old to me. And, being young, I was of course doing things like jumping off couches in the Student Union building and shouting, “Konnichiwa!” to a group of friends who were meeting us for lunch. The lady, still holding on to my elbow, began talking to me excitedly in what I could only guess was Japanese. “Oh, crap,” I thought. “I’ve offended this woman and now she’s telling me off!” I instantly felt shame, even though I knew “konnichiwa” was an innocent greeting, equivalent to “good day.” I wanted to explain to her that my yell was basically a third of my total Japanese vocabulary. I wanted to blame the X-Men. I can’t remember exactly when I started reading The Uncanny X-Men, but I do know I was at just the right age to soak up Chris Claremont’s dramatic, angst-laden prose as if I was an adolescent corncob rolling in a bed of warm butter. Rattling off the roster of my X-Men is easier than naming all my cousins; Cyclops, Storm, Nightcrawler, Wolverine, Colossus, Kitty Pryde, and Professor X. This all-new team wasn’t the one originally created by Len Wein and Dave Cockrum for Giant-Size X-Men #1 in1975 — Thunderbird had already been killed off by the time I got there, and Kitty was a recent addition. Claremont’s Southern belle, Rogue, would come later and other characters, like Banshee and Sunfire, were on the periphery. As far as I was concerned these seven heroes were it — these were the X-Men. It took years before I realized I was essentially reading a superhero soap opera, but by then I was past caring. What I did care about was what happened to these characters, both in fightin’ action and in the melodrama of their personal lives. I was fascinated by the different cities and cultures they would jet off to in their SR-71 Blackbird. I luxuriated in Claremont’s overwrought writing style, and I spent whole afternoons imagining the characters’ various accents. 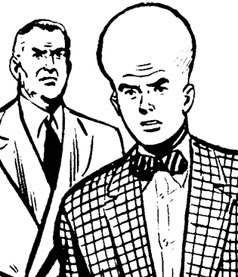 Claremont’s X-Men were a United Nations of mutants, which the dialogue seemed intent on almost constantly reminding readers. Cyclops and Kitty were from the United States, so they spoke the way an average reader might expect, but everyone else was from what — to me — was an exotic location. Storm was Kenyan, and had a cadence to her speech that echoed the European colonization of that country. Colossus, of what was then the Soviet Union, spoke in a deliberate, almost ponderous way; Piotr Nikolaievitch Rasputin, the gentle farmboy from Russia, embodied the implacable nature of our Cold War adversary. Nightcrawler, a demonic-looking teleporter who disappeared in a cloud of sulfur and brimstone, peppered his conversation with the Gothic embroidery of his native West Germany. I had no idea what Wolverine — a backwoods Canadian — sounded like. A cowboy? Sorta? Your guess was as good as mine, bub. And the less said about Banshee’s magically delicious Irish brogue, the better. Storm stuck with straightforward English, but Nightcrawler and Colossus would use words and phrases from their native languages constantly. In retrospect, I loved it not just because it introduced me to languages I probably never would have been exposed to otherwise, but also because it was comfortingly familiar. When Colossus dropped a “bozhe moy!” or Nightcrawler a “mein gott!”, they could have just as well been letting loose with the “Ay, Dios!” I heard every day. Growing up in El Paso, Texas, meant a lifetime of being steeped in my Mexican-American culture. El Paso was (and still is) a community that hovers at around 80 percent Hispanic, sitting directly on the U.S./Mexico border with Ciudad Juarez. Most people in my hometown are bilingual in English and Spanish, and EVERYBODY speaks some form of Spanglish, that mashed-up way of speaking both languages at once. Seeing the X-Men use phrases from their native tongues (or, in some cases, a language Professor X psychically plugged into their brains) was the most natural thing in the world to me. The people around me did it all the time; it just made sense the heroes in my world of comics would, too. This normalization of foreign languages was comforting to me in another way. It helped emphasize that it was OK to speak a language other than English in the United States, and it didn’t make you less American. As a child of the 70s and 80s, I was never discouraged from speaking either Spanish or English (or Swahili, if I’d ever gotten the itch). But I grew up with the stories Dad told me of growing up in El Paso and Albuquerque in the 50s. Spanish was his first language; once he started going to public school, this meant being teased by teachers for his accent. Raps on his knuckles if he slipped and used a Spanish word in class. Beatings if he was caught having an actual conversation in Spanish. Later, after he’d married Mom and gone to a Los Angeles broadcasting school to obliterate any trace of an accent, he was adamant his kids wouldn’t go through the same thing he did. Times had changed, but not that much, and both my little sister and I would grow up with English as our first language. And like a lot of kids who are later-generation descendants of immigrants, we never really got the hang of our cultural language. I’m better now, but for a long time my Spanish was terrible. My Spanglish, however, was excellent. 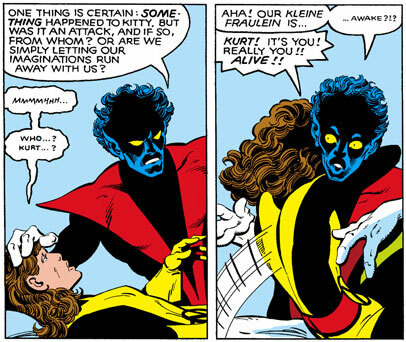 Thanks to the constant practice I had at listening to more than one language at a time, adding some comic book German or Russian to my vocabulary was a cinch —especially when it was reinforced by Claremont’s quirky insistence on peppering it throughout nearly every issue of The Uncanny X-Men. Suddenly I was getting regular exposure to the varied lyricism of other languages; the staccato brass of German, the stentorian fluidity of Russian, and occasionally the soft rat-a-tat of Japanese. Comics, and X-Men comics in particular, helped me realize different languages could have things in common with each other, and this lead to a further understanding of shared cultures and histories. There was a connection, and the X-Men were helping me make it. And then Claremont seemed to make Japan itself a semi-regular member of the cast. In quick succession, and over various issues, Wolverine fell in love with a cultured Yakuza clan leader, Storm fell in with a free-spirited Tokyo thief, and Kitty was kidnapped and became a ninja (in the seminal Kitty Pryde and Wolverine six-issue limited series, also written by Claremont). In Uncanny X-Men #181, following the team’s adventures in the Secret Wars limited series, the X-Men randomly appeared over Honshu, Japan, where Lockheed fell in love with a dragon. Slowly, Japanese started creeping into my vocabulary. 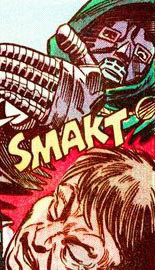 “Arigato” (though Styx beat Claremont to that one), “hei,” “giri” and “gaijin” were all words I was comfortable using. I never used them in everyday conversation, but they were there if I needed them. So years later when I let loose with a “konnichiwa,” it seemed like a good way to greet my friends. But I wasn’t sure the Asian woman felt the same way. After she asked me something a couple of times, I had to embarrassedly tell her I didn’t actually speak Japanese. Still holding my arm, she immediately switched to English. “Oh, but I heard you. You spoke Japanese, right?” She sounded disappointed, and explained that she thought she was going to have a chance to talk to someone in her own language. The woman smiled, and squeezed my arm.